Istanbul, Turkey, has a history that reaches back in time before the Roman Empire. It has two of the most beautiful buildings in the world: the Hagia (or Aya) Sophia and the Blue Mosque. So look around. You may find cats even riding motorcycles. 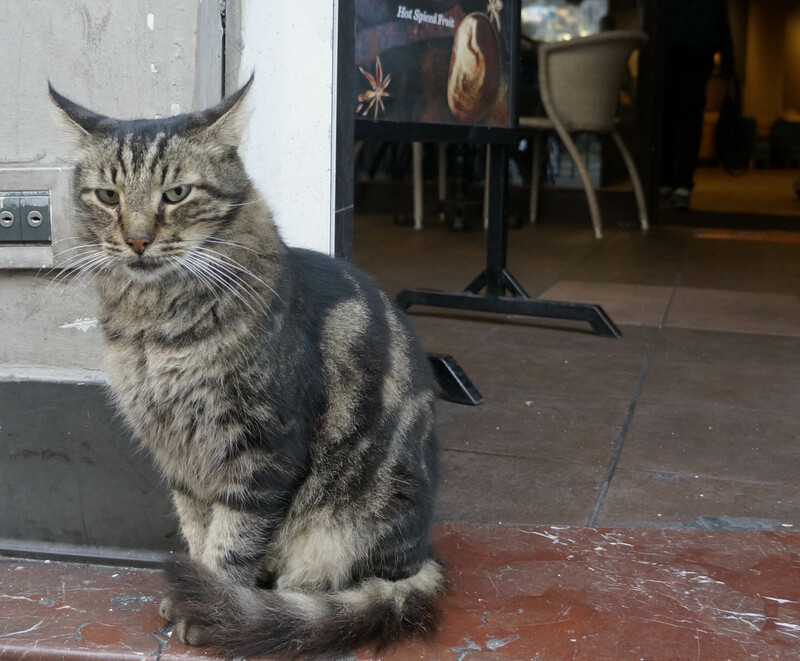 This entry was posted in Uncategorized and tagged Cats, Istanbul, travel. Bookmark the permalink. wonderful gallery, I love to photograph cats in Greece, too. They are so cute. I would love to go to Greece and photograph the cats. I hear Rome also is good “cat-territory.” Thanks for your comment. They really like to have their heads skritched too. I’ll have to go to Istanbul. Never thought there would be so many cats! I do but I don’t use it very often. I will have to do it more in the future.